Calling all zombies, ghouls and goblins! Heres my Top 5 list of spook-tacular activities for adults, children, families and even your four-legged best friends to celebrate Halloween-Capital City style! 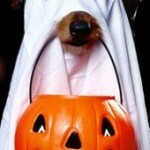 Doggie Trick or Treating in Old Town Lansing Friday, October 26. 4-9 p.m. Personally, dressing your dogs up for anything other than Halloween is just wrong in my books, but I love to see all the pooches strutting their stuff up and down the streets of Old Town during this annual event. 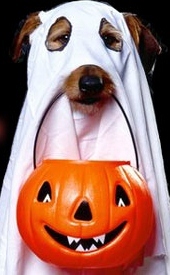 Canine Trick or Treating and a costume contest add to the festivities. Tack on Yappy Hour at Preuss Pets and the night is a howling success! Boo at the Zoo Saturday and Sunday, October 27 & 28 Noon-4 p.m. This is such a cute idea and fun to see the little ghouls and ghosties checking out the tigers and rhinos. Make it an adventurous afternoon with the family. Id love to see some kids decked out in safari gear, but the princesses and ninjas are super-cute, too. Miller Lite Tour of Terror Saturday, October 27 8 p.m.-1 a.m.
For those of you 21 and up. This is a costumed pub crawl to all the Lansing hot spots. Transportation provided which makes it a ton of fun. Grab a wrist band for no-cover entry and youll be entered to win some great prizes. Over 15 places to hit up. 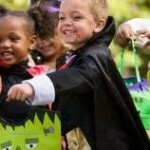 Trick or Treat on the Square Monday, October 29 5-7:30 p.m.
Bring the little ones to Washington Square in downtown Lansing for this. Its a fun late afternoon/evening event that includes fire dancers, hayrides, a hay maze, a Tim-Bit eating contest, face painting, a strolling magician and more. Oh, and trick or treating, too. Sundance Haunted Hayride Friday and Saturday, October 26 & 27 7-11 p.m. This is a great family activity that we did every year until my kids hit high school and just wanted to go with their friends. (insert a sigh in here) Also a nice suggestion for date night if you need to get to know each other just a bit better. And a good bet for those who arent into dressing up in costume.